Abutilon inflatum Garcke & K.Schum. 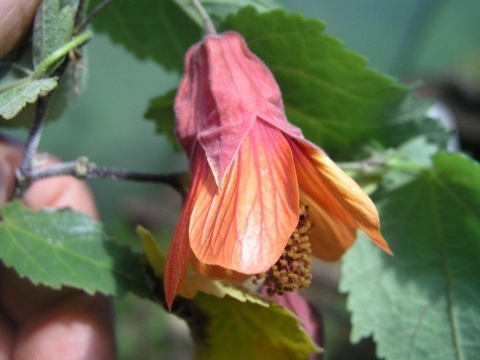 Trailing abutilon is an evergreen shrub growing about 2 metres tall. Widely grown as an ornamental, the plant is not known in a truly wild situation. The flowers are eaten locally. Widely cultivated in the Tropics and not known in a truly wild situation. Seed - germination should take place within a few weeks. Once the seedlings are large enough to handle, prick them out into individual pots and grow them on until large enough to plant out.